This is a brief excerpt from an interview I did with Mary Adams on Co-Creator Radio. This segment deals with how I came to write When Gulls Fly Low, and why. It ends with my answer to her questions about forgiveness. Many people have seen the book as a class in forgiveness, even though it is almost never actually mentioned by name. Here are some of the comments readers have made. To download and read the first half of the book, click here. 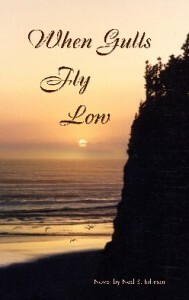 To purchase your own copy of When Gulls Fly Low, click here. When Gulls Fly Low. Bookmark. Ned, the interview excerpt is perfect!